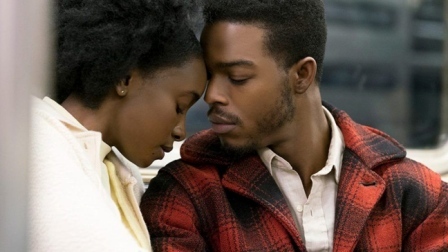 Oscar discussions for “If Beale Street Could Talk” began in earnest after several screenings, including at a special premiere screening at New York’s famed Apollo Theater. “[The movie] is a timeless work of Black Love set in Harlem,” said Kamilah Forbes, the Apollo Theater’s executive producer. Written and directed by Barry Jenkins, based on the classic novel by James Baldwin, “If Beale Street Could Talk,” tells the story of Tish, a newly-engaged Harlem woman who races against the clock to prove her lover’s innocence while carrying their first-born child to term. Producers of the Annapurna Pictures release call the movie a celebration of love told through the story of a young couple, their families and their lives, trying to bring about justice through love, for love and the promise of the American dream. Others simply call “If Beale Street…” a Harlem love story that unfolds on the big screen, in the neighborhood that is home to its characters. The movie stars KiKi Layne, Stephan James and Colman Domingo; with memorable roles also portrayed by Teyonah Parris, Michael Beach, Dave Franco, and Regina King, among others. It’s scheduled to open nationwide on Nov. 30. Reviewers have already earmarked “If Beale Street” for an Oscar. Critics at Vulture wrote, “Rarely has a filmmaker’s devotion to his material been more clear. Beale Street translates much of Baldwin’s prose to voice-over, and it holds his characters in adoring close-up; there’s not a filmmaker working today who’s as good at shooting faces as Jenkins is. “But where Baldwin went for kitchen-sink realism, this film turns Tish and Fonny’s story into a romantic epic that seeks to capture all of Harlem in its lush, warm gaze. Henry appears in a pivotal segment of “If Beale Street…” as Daniel Carty, an old friend of Fonny Hunt who recounts a harrowing experience. Goldderby.com critics noted that Stephan James will be campaigning for recognition as a lead actor, which opens the door for Henry in the Best Supporting Actor race, and while you might think a shorter performance is at a disadvantage at the Oscars, tell that to Beatrice Straight, who made history by winning Best Supporting Actress for “Network” in 1976 and Judi Dench, who won Best Supporting Actress for “Shakespeare in Love,” in 1998 despite just an eight-minute performance. Forbes Magazine critics also fed into the Oscar buzz, opining that Jenkins could win Best Director in a new review this week. Regina King, who plays Tish’s mother Sharon Rivers in the movie, said the film helps further humanize black people and black love. “I want people to see us as human beings,” she said on the Red Carpet of the NMAAHC African American Film Festival. “Even though we are all humans, I think a lot of times people see black first and don’t see everything that exists. I want them to see love first,” King said. To watch the trailer of “If Beale Street Could Talk,” visit: http://annapurna.pictures/films/if-beale-street-could-talk.